HONOLULU – In an effort to save lives, the Hawaii Department of Transportation (HDOT), four county police departments, and our private partners Toyota Hawaii and DTRIC Insurance are working together to educate Hawaii’s roadway users about the dangers of distracted driving throughout National Distracted Driving Awareness Month in April. Free events will be held throughout April on Oahu, Kauai, and Hawaii Island. Event information is below. 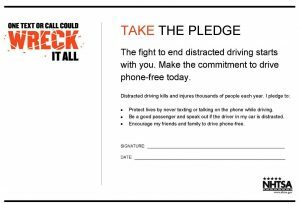 Distracted driving is dangerous and claimed 3,166 lives nationwide in 2017 alone. In an effort to reduce this number, the National Highway Traffic Safety Administration (NHTSA) will be promoting their U Drive. U Text. U Pay. campaign from April 11, 2019 to April 15, 2019. 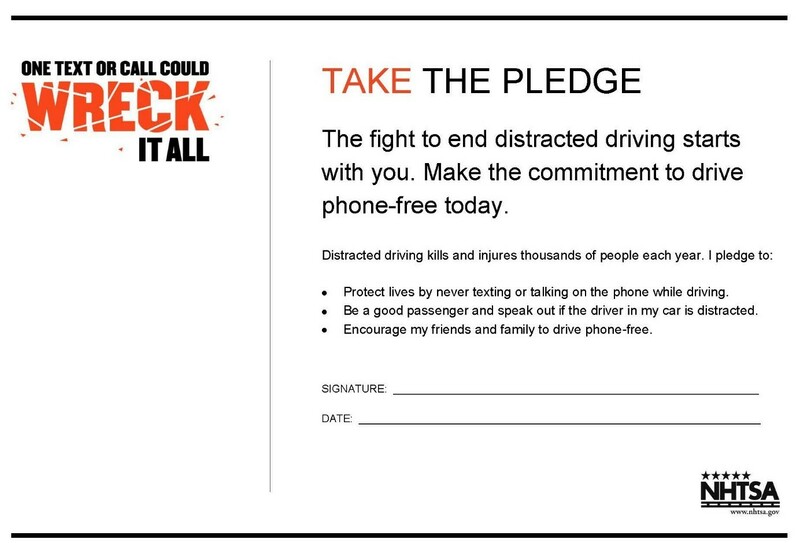 According to NHTSA, distracted driving involves anything that takes your attention away from the task of safe driving. This includes talking on your phone, eating and drinking, talking to people in your vehicle, fiddling with the stereo, entertainment or navigation system, and texting, the most alarming distraction of all. In addition to conducting stepped-up high-visibility enforcement during April’s National Distracted Driving Awareness Month, county police departments will continue its year-round enforcement of Hawaii’s distracted driving law. Based on the 14,500 distracted driving citations police issued statewide last year, distracted driving continues to be a serious traffic safety priority. Hawaii’s law prohibits the use of mobile electronic devices while operating a motor vehicle, making it illegal for drivers to text or engage in other hand-held uses of mobile electronic devices such as cell phones, mp3 players, personal digital assistants, and navigation devices. The law also prohibits drivers from using a hand-held mobile electronic device when stopped at a red light or stop sign. Furthermore, no person under the age of 18 may use a hands-free mobile electronic device while operating a motor vehicle. The fine for violating this law starts at $297. Violations in school zones or construction areas are subject to a higher amount. “We have learned that increased enforcement combined with public education have proven to be an effective method to reduce distracted driving and, more importantly, save lives,” said Butay. Locally, HDOT and our private partners Toyota Hawaii and DTRIC Insurance are coordinating efforts to educate Hawaii’s roadway users about the dangers of distracted driving. HDOT’s Distracted Driving Squad will conduct presentations, at high schools and shopping centers across the state, using a lightweight and portable virtual reality video system that can be attached to any motor vehicle. The presentations provide attendees the opportunity to experience the dangers and adverse effects of distracted driving in a simulate and safe environment. The distracted driving simulator system is the only one of its kind in Hawaii.